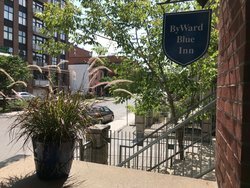 Book your stay at the ByWard Blue Inn to enjoy comfortable accommodations close to a ton of the area’s top attractions. Enjoy a relaxing night’s rest in one of our twin bedrooms or queen rooms, and enjoy beautiful views from your own private balcony. 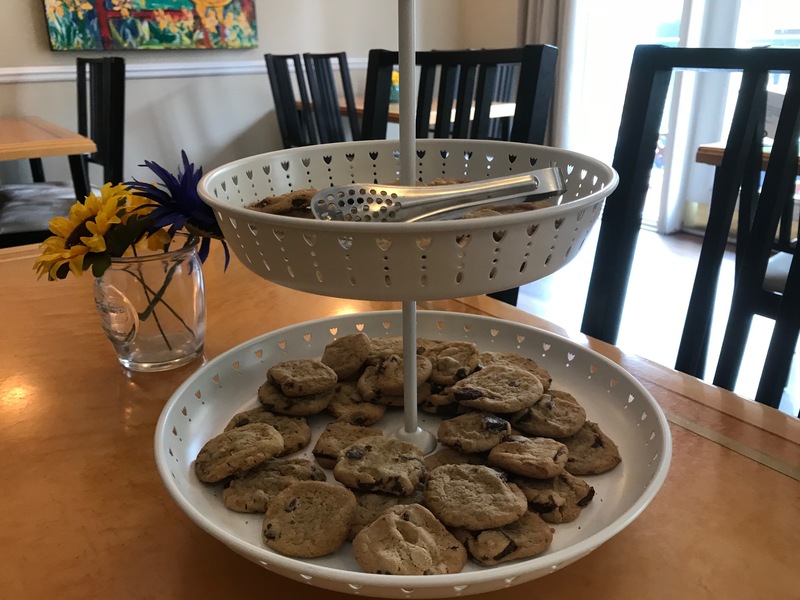 Our hotel provides each guest with a complimentary breakfast each morning of their stay, as well as a snack served each day in the breakfast room. 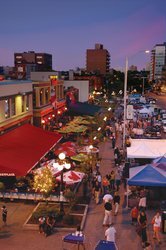 Enjoy a quick walk to all the ByWard Market’s best restaurants, bars, and entertainment with ease. Enjoy a relaxing night’s sleep in our Queen Room! 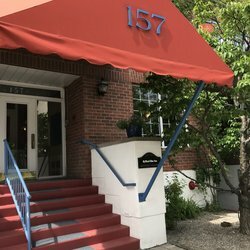 Enjoy 1 Queen Bed, a kitchenette, a table and chairs, and a flat-screen TV. 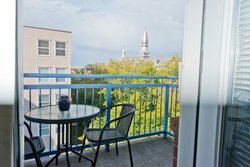 Take in beautiful views from our Queen Room with a Terrace! Enjoy your own large south-facing terrace, in addition to in-room amenities like a kitchenette, flat-screen TV, and more! Each room or suite of our hotel comes equipped with indulgent toiletries. 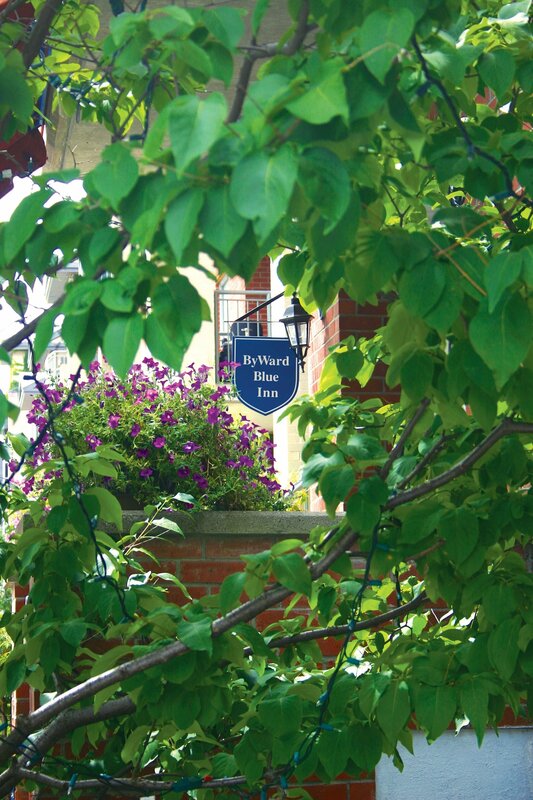 Relax and unwind in one of our ByWard Blue Inn robes! 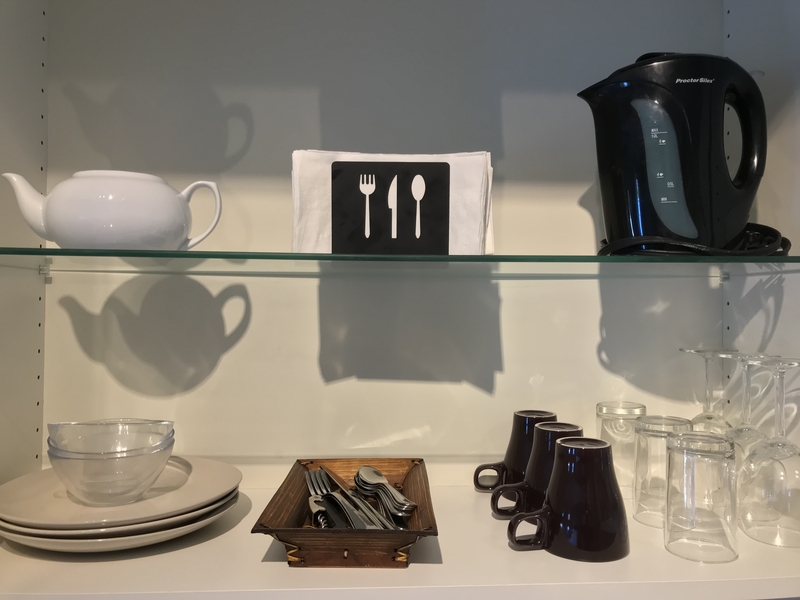 Each room of our hotel features a kitchenette, with a fridge, microwave, and coffee maker, allowing guests to bring snacks and meals into their room to enjoy with ease on their outdoor patio or balcony. Relax in our Twin Balcony Room! 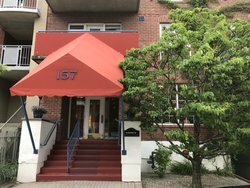 Take advantage of this room's private balcony, comfortabel twin beds, and flat-screen TV! Take in the view form your room's private balcony! Each room or suite of our hotel comes equipped with a comfortable Queen or Twin sized bed, outfitted with soft, high-quality linens. 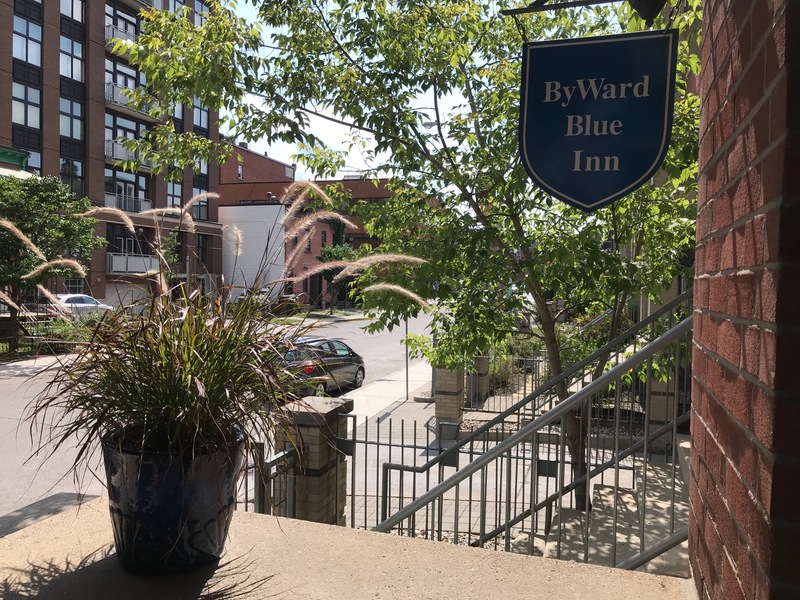 Almost every room of the ByWard Blue Inn features a patio, balcony, or terrace, providing guests with a stellar view of the city. 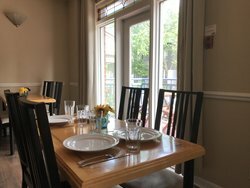 Enjoy a tasty meal in the privacy of your own suite! Equipped with either a Queen or Twin Bed, each room features a kitchenette, high-speed Wi-Fi, a flat-screen TV and a range of other in-room amenities designed to make each guest feel at home. 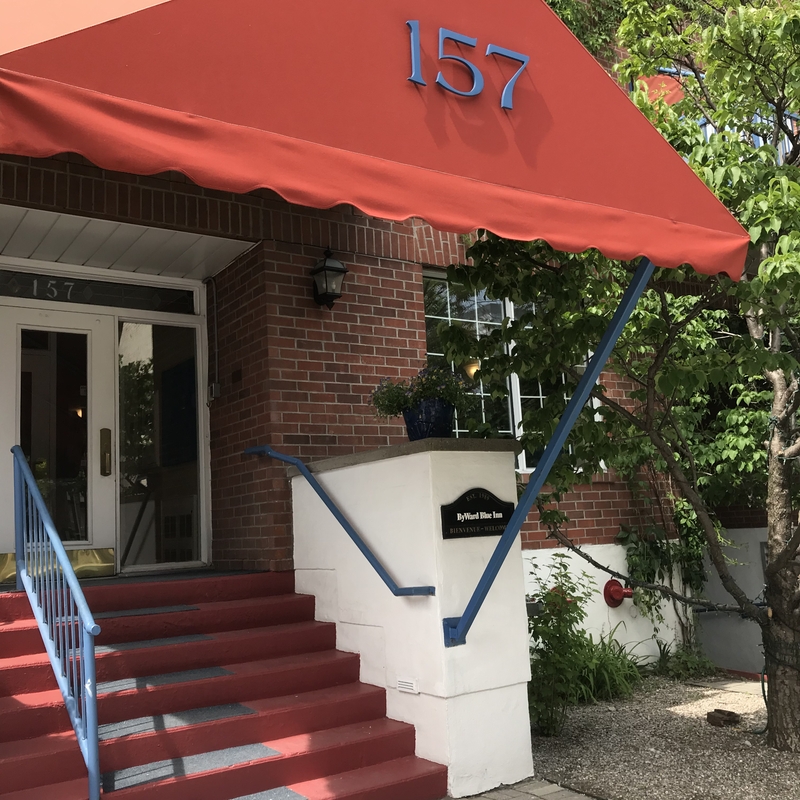 In the warmer months of the year, guests can enjoy a cup of fresh coffee outside on our patio. 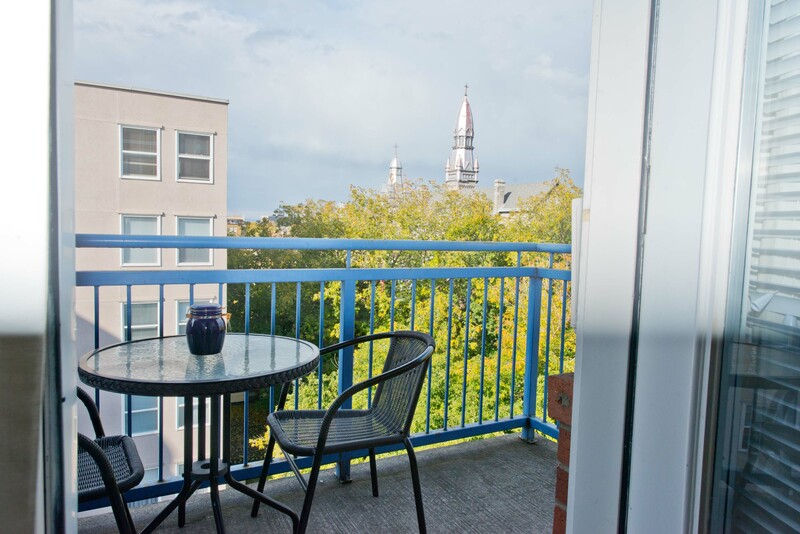 Additionally, our Ottawa hotel with balconies allows each guest to take in a beautiful view of our neighbourhood. 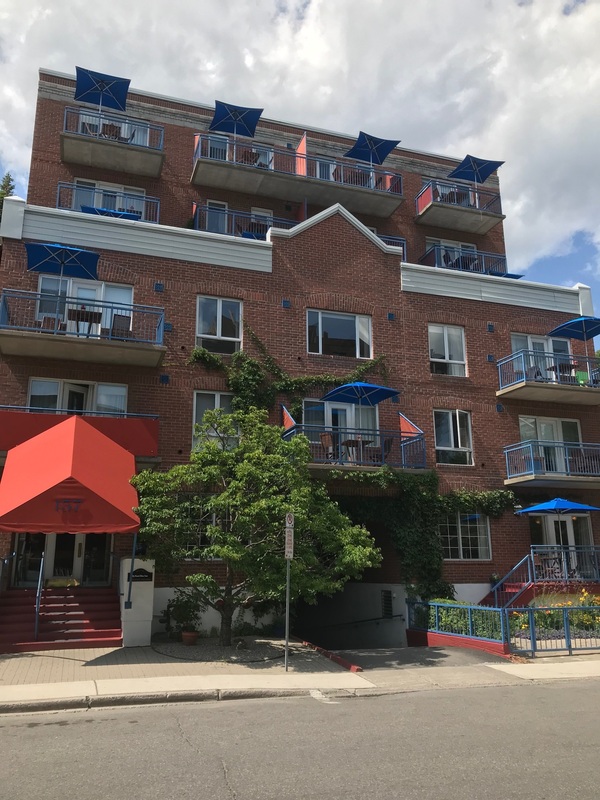 Our charming hotel in the ByWard Market area of Ottawa provides guests with comfortable accommodations, charming on-site amenities, and an ideal location in one of Ottawa’s most exciting neighborhoods! 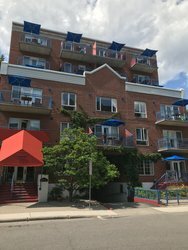 Our hotel in the ByWard Market area of Ottawa brings guests closer to all the best restaurants, bars, and attractions. 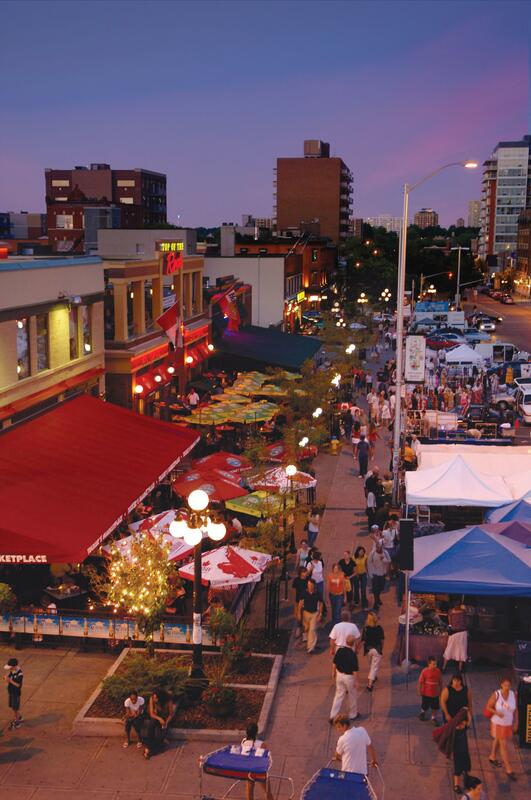 ByWard Market at Night Starting 1/2 block from the Inn are numerous restaurants, specialty food shops, cafes, boutiques, music clubs, galleries and pubs. There is always something going on in the Market ! 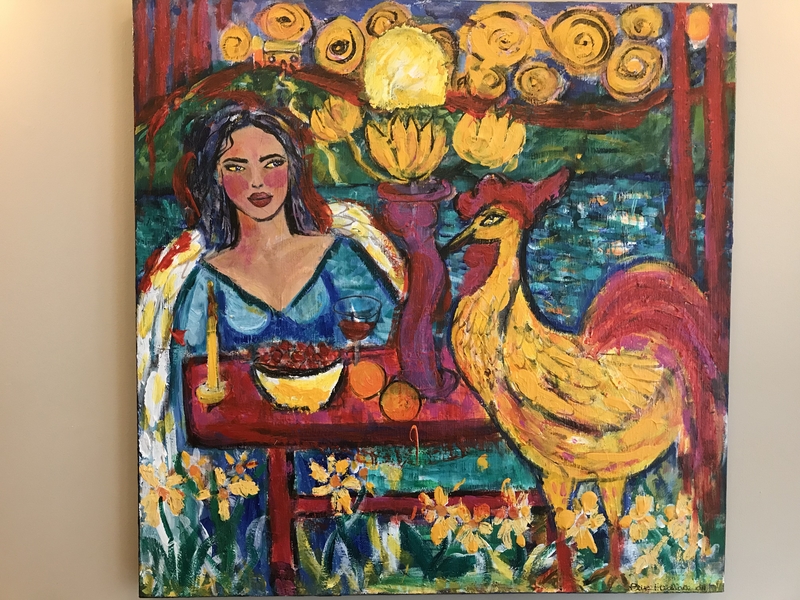 Throughout the hotel guests can find original artwork by local artist B.F. Wallace, along with a number of modern touches that provide each guest with an exceptional stay. Our hotel in the Byward Market area of Ottawa features a number of on-site amenities designed to make your stay with us a memorable experience. 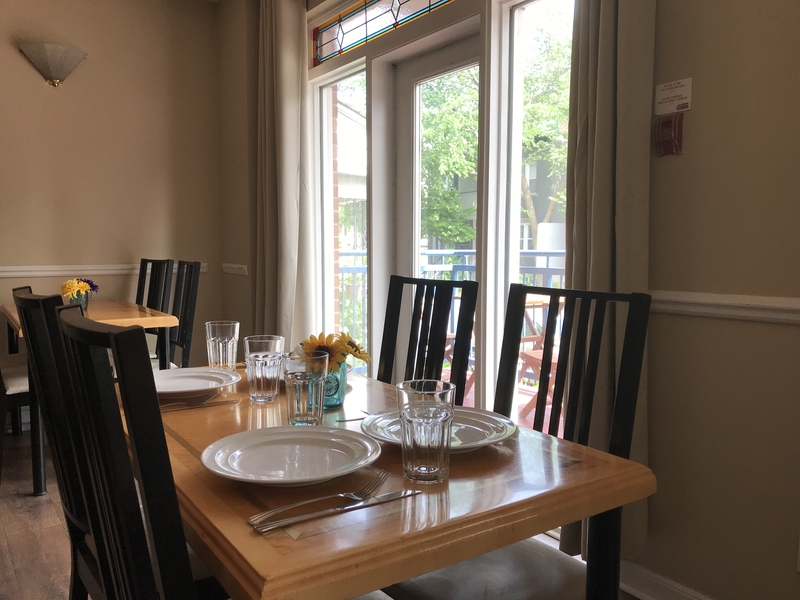 Start your day off on the right foot with our complimentary breakfast, serving a variety of hot and cold items like breakfast sandwiches, eggs, bacon, and pastries. 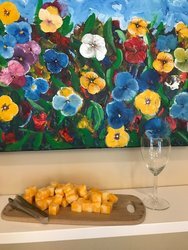 Also on-site, corporate travelers can get some work done in our business centre, or host a professional or social event in our meeting space. 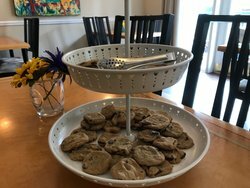 Guests can enjoy an afternoon snack of cookies, cheese, chips and more throughout their stay with us! 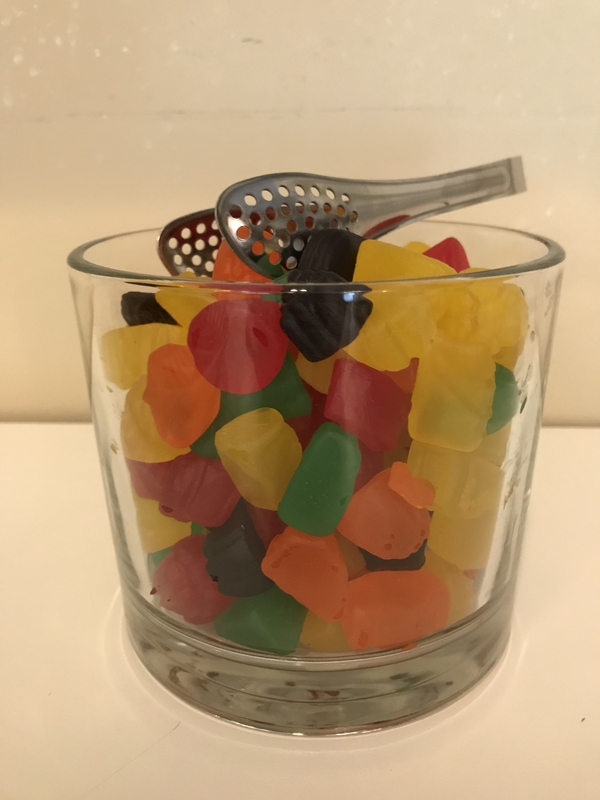 Our hotel in the Byward Market area of Ottawa features a number of on-site amenities designed to make your stay with us a memorable experience. Start your day off on the right foot with our complimentary breakfast, serving a variety of hot and cold items like breakfast sandwiches, eggs, bacon, and pastries. 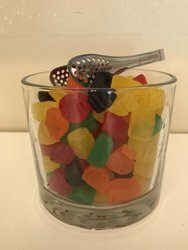 Help yourself to some candy, available in our breakfast room throughout the day. 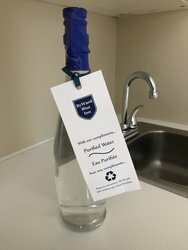 Each guest room is stocked daily with glass water bottles. 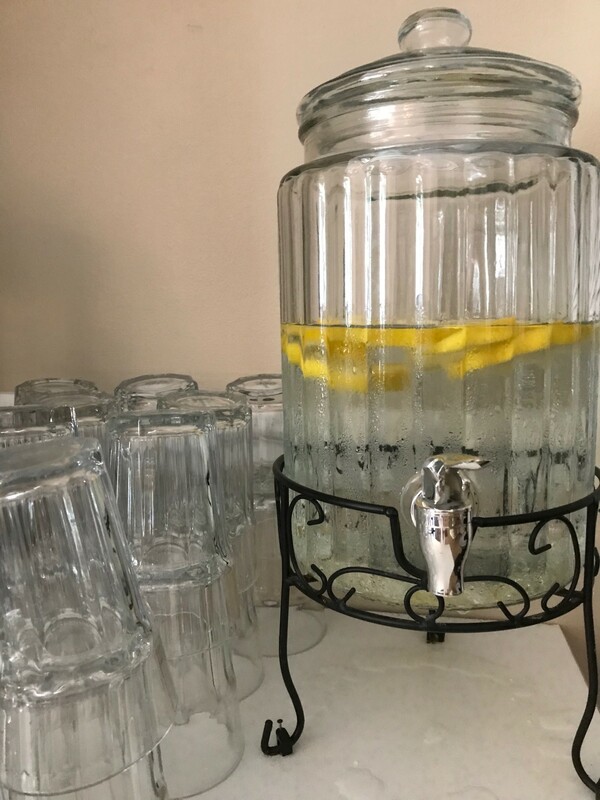 Enjoy lemon water in our breakfast room! 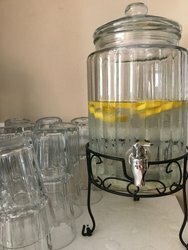 Lemon water, coffee, and tea are available in our breakfast room 24 hours a day!